NHS Continuing Healthcare maladministration - where does the buck stop? …these are just some of the frustrations many families tell us about. One of our readers, Brian, contacted us about his mother’s situation. He outlined the frustrations he was having trying to get anyone in authority to take responsibility for the failings in his mother’s Continuing Healthcare assessment process. A Checklist assessment was carried out for my mother in July 2014 and it indicated the need for a full multidisciplinary team assessment. For five months after that I heard nothing from the Continuing Healthcare team. In December 2014 I sent a complaint to the Clinical Commissioning Group (CCG) regarding the failure of the Continuing Healthcare team to adhere to National Framework guidelines in completing the assessment and decision making process within 28 days. They had also not kept me informed of the reasons for the delay. In addition, there seemed to be no Continuing Healthcare coordinator appointed and they had also ignored hospital discharge procedures in relation to the Continuing Healthcare assessment process. I received an email acknowledgement asking for my Lasting Power of Attorney documentation, which I returned in 2014. They surely should have requested this when the assessment process started. In March 2015, nine months after the original Checklist assessment, my mother was refused NHS Continuing Healthcare funding. I sent a formal letter of complaint personally addressed to the CEO of the CCG about the NHS Continuing Healthcare maladministration, appealing the decision and asking again why they had not adhered to National Framework guidelines – as per my emails in December 2014. We are some seven months down the line since my original complaint in December 2014. I will continue to appeal the funding decision, but I am still awaiting answers regarding the NHS Continuing Healthcare maladministration. A couple of months ago I also contacted the Parliamentary and Health Service Ombudsman, but they refused to help because the CCG had not replied to my complaint! In April 2015, I started receiving emails from the CGG again regarding my complaints about procedure. The CCG informed me I could expect a further update in two weeks. I had around five such emails over a 10-week period. The last update was due in early July 2015. Needless to say that never happened and I have received nothing at all since. They have not even been following their own CCG Complaints Policy, which promises a 25 working day response to any complaints, up to a maximum of 6 months. Last week, I spoke to the Dept. of Health and I was informed it was NHS England I needed to contact, so I found the email address of the CEO of NHS England and I wrote a very comprehensive detailed account and asked for some help and advice. His reply showed no interest. It also contained no apology whatsoever. Instead, it just rambled on and on about the Continuing Healthcare assessment process and finished off by saying it was nothing to do with them! He suggested I should go back to the CCG. I have now been in touch with my local MP in the hope of finding some help in pursuing this further. What an absolutely disjointed and fragmented system we have. The NHS is judge and jury over its own actions. I also copied the Secretary of State for Health, Jeremy Hunt, into the email that I sent to the CEO of NHS England. I have yet to receive a response. On further investigation, I also came across a part of the NHS in my area called the Patient Experience Team (PET) and I spoke at length to a manager, who promised to personally get involved on my behalf. I have since had a response from the PET (on an NHS England letterhead), and they have requested a response from the CCG within 40 working days. So this response to my maladministration complaint now has to be returned direct to NHS England. This all just shows what a shambolic mess everything is when the CEO of NHS England does not know who is responsible for what – and showed no concern, apology or understanding in the response email he sent me. Why did he, at the very least, not refer me to the Patient Experience Team? 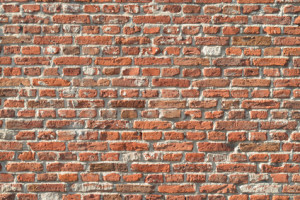 Have you come up against a brick wall? Sadly, Brian’s experience is not unusual and many families find the whole Continuing Healthcare process hugely frustrating – not least trying to get a response to correspondence and complaints. Many families approach their local MP for help. The results seem to vary, but it’s worth a try. Some families choose to go to the press to talk about what’s going on. It’s not something everyone feels comfortable with, but it can be an option. Some families also refuse to pay any more care fees until the matter is resolved, and they forward care fees invoices straight to the NHS. This may be something to consider, although it also carries the risk of (potentially) compromising your relative’s care, as the care home or care provider still needs to be paid. 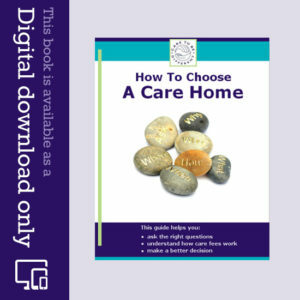 If you have a good care home manager or good contact at the care provider, though, they may carry some weight in being able to help move things forward. Another option is to approach the Head of Adult Care at the local authority and suggest to him/her that the local authority may be acting illegally in currently forcing your relative to pay care fees, and not supporting the NHS Continuing Healthcare process for them. The reasons for this potential illegality are outlined in this article about the legal limit for local authority care. If you’ve been in a similar situation to Brian, what strategies have you found useful to get some response and try to move things forward? Your experiences and suggestions could help other families, so please do leave your comments below. Can anyone help? I feel, not for the first time, completely helpless. Following 18 months of CHC maladministration my Dad died, receiving CHC through Fast Track only for the final weeks of his life. Following his death I complained to two hospitals, the LA and the CCG about gross failings, some related to poor nursing care and unacceptable behaviour by hospital staff, but many relating to CHC failings across all four public bodies. Responses from three of the bodies were inadequate and after well over a year one hospital has yet to provide a response to the complaint. A few months ago I passed these complaints to the PHSO. First they said they could not investigate because they had to wait for a response from one of the hospitals. As long as this hospital fails to respond it can delay an ombudsman’s investigation indefinitely. How can this be right? Now the ombudsman tells me that they cannot investigate any part of my complaint relating to CHC unless I apply for a retrospective assessment and if unhappy go through Local Dispute Resolution and then IRP. If I cannot face going back to the very bodies that failed Dad completely, especially since I have clear evidence that staff lack all understanding of the NF and are responsible for the gross maladministration I am complaining about, then the ombudsman will not investigate. My complaint, which has been closed, will remain closed. My complaint was not about eligibility. It was about maladministration. Now it seems that further maladministration (delays, errors, failure to follow processes and timescales etc) will allow these public bodies to delay an investigation into their original failings. The irony is that Dad was refused CHC assessment when he was alive. For an assessment to be carried out now that he is dead would be a cruel insult. Does anyone have any positive experiences with the PHSO? I intend to write and state I regard their decision to close my complaint as perverse but what else can I do? I understand from posts on this site that retrospective reviews and IRPs can take months or years. I do not think I can face it. Sorry I forgot to mention that they say his behaviour is fine since being in there but he is on quetiapine the dose having been doubled. This drug puts him at high til of stroke.They also state he is not at risk of falls even though they told the DOLS assessor that he is at risk of falls and we havewitnessed him falling. We hear many reports from families who have had similar experiences to you, Lynda, e.g. not being informed or involved in the Checklist, questionable dates of assessments, a few handwritten notes, scant (if any) attention to the question of consent, etc. Time constraints (no doubt caused by the incompetence of those involved) are no excuse for them excluding you from the process. No one should ask you or your partner to pay anything in care fees until the CHC process has been properly carried out. Thank you for replying Angela. Today the Social worker has informed me that they have applied for and been approved for funding and they are sending me forms for financial assessment. The social worker is aware of our problem with the completion of the CHC checklist. I have also said that I understand financial assessment should not be carried out before this is resolved. I feel that I am being hounded into this. What would be your advice? Thank you for your reply. I have today had a call from the Social Worker informing me that they have gone ahead with the funding application and that it has been accepted. She is now going to send financial assessment forms. She is totally aware of the problems with the CHC checklist completion and has stated that she agrees that it has not been completed correctly. I feel that I am being hounded by social services now. What would be your advice? Thank you. You mentioned your partner has been ‘approved for funding’. Not sure which funding you mean, but if it’s Continuing Healthcare funding, nobody should be carrying out any financial assessment. Hi Angela, the funding is local authority funding not continuing health care and they have sent financial assessment forms even though they are aware that the completion of the CHC checklist is in dispute. In addition they are pressing for us to decide on a care home having only provided one choice which is a 30mile round trip from my home? Has anyone managed successfully to get a CCG against whom a complaint has been lodged to engage properly with the Department of Health’s complaints process, and deal with the complaint reasonably promptly rather than delaying for as long as possible in order, ultimately, to prolong the complaint being considered by the Ombudsman? Has anyone been able to achieve this without having to get their local Member of Parliament involved? Any tips or tricks would be most welcome. Many people complain about the NHS complaints process, Richard, and it can be a hugely frustrating experience – to say the very least. You could approach NHS England and ask for an Independent Review Panel hearing, if you haven’t done so already. Thank you, it is good to hear your support. Thank you so much for confirming this. It’s hard to hold onto the multiple strands of the plot at times when trying to make momentous decisions. This website is so important. Took a LOT of firm repetition of ‘see page 21 of the National Framework’, before she paused. Phoned back later to say she’d asked a CHC colleague for advice ‘from the horse’s mouth’ – ah, she’d just been using the wrong words (hah!). Anyway review (phew!) to be arranged before (phew!) any move to nursing care, and I don’t need to be there (hah!). Thanks for your kind words about the website, sd. Well done for standing your ground. SD if the council recommended the move to nursing home and CHC was already being paid at the patients home then I would argue that the needs must still be beyond the councils remitnto provide for. The needs have got worse not better. Don’t let the NHS try to remove the funding. It must still be valid. Hello, my mum was deemed eligible for CHC funding in October last year, to be back-dated to May. She lives at home with 24 hour live-in carer. The admin process of creating care plan, referring to brokerage for PHB, first meeting with brokerage has taken 6 months… so funds/refunds still awaited. Meanwhile her needs have become more difficult to manage, and so it has been decided she needs to move to nursing home (whether this needs to be of the ‘EMI’ variety being debated)… Community Psychiatric Nurse (CPN) this afternoon says she may no longer be eligible for CHC funding as it will be a different environment… she says she’ll have to do a new Checklist to determine if an MDT is required to assess whether she will meet the criteria. Can she be right that Checklist needs to be done again??? I can ill-afford time for this process on top of finding a nursing home that will care for her and won’t ‘expel’ her for ‘challenging behaviours’ after a few weeks! Hi sd – the CPN is talking nonsense. Continuing Healthcare (CHC) funding is not dependent on where a person physically lives (i.e. in a care home, at home or elsewhere), nor is it dependent on the qualifications of the person delivering the care. It depends only on care needs, not on how well they can be managed. See the National Framework page 21, paragraph 56 and 58: https://www.gov.uk/government/uploads/system/uploads/attachment_data/file/213137/National-Framework-for-NHS-CHC-NHS-FNC-Nov-2012.pdf Once CHC is awarded, it is reviewed initially after three months and then annually. Thank you Angela, that’s really helpful. This site is brilliant. There is no second checklist requirement if funding already exists. However it does seem strange that hospitals do not necessarily know that, when discharging patients. So perhaps them not automatically doing one is a blessing of some sort. As Angela wrote, the annual review is a full chc assessment just like last time. But watch out for poor nursing home record keeping and money saving assessors. Also, the MDT members will not necessarily be your friends even if they try to appear to be. I would also take the last DST copy with you and try to ensure that all of the information on that ends up on the new version. That way they will have a hard time if it comes to an appeal. Thanks for your kind feedback, KD. My father has had CHC for over a year and we are due to attend a review meeting shortly, where I suspect they wish to remove funding. Please confirm if it can just be taken away, on the say so of the CHC rep and the care home rep, or does it have to go to the panel again, following full MDT review? I suppose the question is, can funding be removed without family involvement? If yes, do we have to go through the checklist again. Sorry, lots of questions. The funding cannot simply be removed without proper review. If the funding is removed in this way, the assessors (or whoever removes the funding) are effectively saying that your father’s care needs have fallen below the threshold for NHS care and that they are now ‘just’ social care needs. If your father’s needs have not decreased in such a way, this would put the local authority in an illegal position – because they would be taking responsibility for care that was beyond their legal remit. So there must be a proper review of each domain, to ascertain whether or not your father is still eligible, and this must be done before funding is removed. Something else troubles me. The Department of Health’s National Framework (and the various amendments to it) has been in place since 2007. There appear to have been no published decided cases, or announcements, from the Parliamentary & Health Service Ombudsman (“PHSO”) on the shortcomings in the National Framework and its interpretation by MDTs/CCG’s following the National Framework’s implementation. Why is that? The Pointon case (which decision looked at the shortcomings in local NHSCHC eligibility criteria is useful, but it predates the National Framework. Wouldn’t it be far more helpful to have guidance about whether the National Framework is Couglan compliant and whether the National Framework is being fairly, consistently and legally applied by MDTs/CCGs? I understand why candidates for NHSCHC choose not to ask Her Majesty’s judges to tell us what the law is and how the Department of Health’s so called guidance should be interpreted in light of the law, but it seems as if the PHSO has offered no guidance at all since 2003 when Pointon was published by the PHSO. That’s a good point, Andrew. Whenever did anyone in power do anything to rock what is already likely to be a foundering boat? What does “permanently reduced” actually mean? I understand the concept of “permanently removed” in the sense of “cured,” or “it won’t happen again.” But “permanently reduced in the context of NHSCHC eludes me. Also, is our loved one the only one located in a CCG area where, if you don’t score one “priority” (and let’s face it based on the descriptor’s used if you are scoring “priority” you are at serious risk of losing life or limb!) or “two severes” in an assessment, you just know that no matter how many highs or moderates or other scores your LO might achieve during an assessment, it is obvious the CCG will refuse NHSCHC funding? Hi Andrew – sorry for the late reply. I agree – the phrase “permanently reduced” is nonsense. If something is reducing, but has not disappeared, then it could surely come back without close care. Regarding assessment scores, the reports we receive from families indicate that there is certainly inequality in the way assessors across the country make their recommendations. However, I do know of cases where relatively low scores have succeeded. And it is right, just and proper that CCGs should be awarding full NHSCHC where relatively low scores have been recorded. Many of the descriptors used to suggest either a “priority” or a “severe” need are inappropriate. These descriptions suggest (literally) that someone must be either at death’s door, or about to lose a limb, in order to receive NHSCHC (and if an applicant for NHSCHC is being cared for in a care environment and they have gotten into the sort of state envisaged by some of the descriptors that equate to “priority” or “severe”, then surely they, or they representatives, would need to consider consulting with a lawyer about whether their care has been provided negligently). Pamela Coughlan’s case, and the Court of Appeal, have said the entry point for full NHSCHC should not be so high. Wouldn’t it be decent if all CCGs applied the so called National Framework to comply with the Coughlan judgement and the law? That would indeed be refreshing, Andrew. It’s a very sorry state of affairs right now. Andrew. The term they use is disguising “a well met need”. If the drug is not administered then the need is no longer met. The drug is meeting a need and even if unpredictability is lower; the Nature and Complexity and the need for Continuity of Care, (a hidden criterion), still exists. I don’t know which is worse; the fact MDTs/CCGs actually have a name they use unofficially (“disguising a well met need”), or that MDTs/CCGs think it is acceptable to misinterpret the Coughlan judgement to deny candidates’ right to NHSCHC. Hi Andrew, Late reply. Soz. Why is it necessary for someone who is in chronic pain to have to be dosed to the eyeballs on a permanent basis on morphine before a MDT/CCG will even consider a “severe” in the drug therapy domain? Andrew, I have posted before. If one looks at each clause of the severe level within the drugs domain, each part is a stand alone clause. It says OR. Therefore if one has cognition and pain that is treated with general simple relief, one could be said to score high. If one can refuse pain relief and then ask for it later then one is doing it to oneself. It is not refusing concordance or being unable to be concordant or risking relapse if one is refusing painkillers and then asking for them later. If another receives meds that require advance consent from the patient (concordance is described at the back of the DST), and the other cannot give it and that those drugs if withdrawn or refused, would lead to a relapse of perhaps psychosis or Parkinson’s symptoms, or Epilepsy etc. etc. (might also include pain with lack of cognition/communication), then the level is described within the last clause of the Severe section. I would argue that covert meds or those given to an unconscious patient in their best interest, are not being given with their concordance. I would also argue that if such meds are seen to be so important that they would also cause a relapse if withdrawn. Ergo they comply with the wording of the Severe level in the DST. The NHS will of course deny this because when it suits them OR is also AND. In response Andrew, to something you posted above. It was in regard to carrying out another assessment instead of going with the assessor’s affirmative result. An IRP that I attended in 2012 stated that carrying out a second assessment (even though it was local policy), was not part of the National Framework rules. It short cut the appeals process and was implied by the Panel Chair, to be cheating. It was also observed that the original assessment result was being ignored because the appeal had been bypassed without addressing the appealed matters. There again they stated that it was an unnecessary intrusion when they already had a clear assessment that they were not permitted to argue against without expressing exceptional circumstances. No such circumstances ever being expressed. Assessors often make the ‘mistake’ of looking at managed needs, instead of the underlying needs. The assessors also do not understand that the clauses within the severe section and others too…… Have the word ‘OR’ but they insist that all of the circumstances described within each of the domain descriptors must apply. Can a patient with severe cognition agree with anything, let alone give permission to carry out any level of care at all? This example would be best applied if the patient had ‘severe’ cognition levels recorded and was prescribed drugs other than simple or complex painkillers. And that they were administered covertly. (Indicates non concordance). Relapse into pain is difficult to prove and easy to correct. Yet missing out meds for psychosis or cancer treatment or epilepsy etc. will doubtless have unintended consequences that cannot be quickly corrected or planned for either. Either way, without cognition one cannot give or display genuine concordance. Accepting something when non cognizant is not displaying concordance either. i grow tired of playing this childish, wicked and frankly spiteful game which successive HM Secretaries of State for Health have authorised unofficially their minions to play with vulnerable taxpayers. I couldn’t agree more that use of the words “or” indicates clearly if any one or more of the descriptors used applies then the “score” attributed to that domain should be the score given to the patient. The use of “or” is a clear instruction that the various descriptions are not to be conflated to achieve the score. I hope the people the CCGs are using to conduct these assessments and issue recommendations, and the individuals who comprise CCG eligibility panels, went to school and were present when the basics of english language and grammar were being taught! I am not a clinician. i am not s scientist either. But I can read and I can observe. My reading informs me that medicine is not an exact science. My observations tell me the medication our LO was prescribed was being overused at the beginning and only trial and error over time has made that overuse obvious. The opiate our LO was prescribed is a Class A drug, it has serious side effects if not closely monitored (particularly when our LO’s doctors have to take account of the many other drugs our LO is taking to stay alive) and it is usually prescribed to manage end of life care and childbirth. Indeed, one of my abiding memories growing up was watching one of the UK’s most distinguished playwrights drinking a liquid form of this drug to relieve his severe pain so that he could give his final interview. As far as pain science is concerned, there are no reliable objective tests (medical or otherwise) to decide how intense someone’s pain is. Pain, like beauty, is entirely subjective and in the eye of the individual. Pain thresholds are further complicated by ethnicity, genetics and whether you are male or female. But how do you find out just how much pain someone is in when they can no longer communicate reliably how they are feeling because of significant cognitive deterioration? Also, there is no sense in which taking the medication “permanently removes” the pain. It does not “cure” the pain. As a matter of science at best the opiate provides (assuming that a “safe” dose is given) perhaps several hours of “relief” from pain when our LO is awake. Is that enough for the MDT/CCG to say the need (chronic pain) has been “permanently reduced” because it is being “well managed”? Frequently multidisciplinary teams, at the request of CCGs, send people to visit candidates for NHS Continuing Health Care immediately prior (and I am not talking about the Checklist procedure) to the full assessment taking place to gather proof that may help suggest what one or more of the domain scores should be awarded when a decision support tool is completed. 1. Should the representative of a candidate for NHSCHC be informed that such visits will take place, or have taken place, and should a representative be given an opportunity to be present? 2. Should care homes notify a NHSCHC candidate’s representative that such a visit has taken place? 3. Should someone from the care home be present when the person(s) are visiting the NHSCHC candidate (particularly if the candidate’s representative has not been made aware that such a visit has taken place)? We have argued this for ages. It’s a bit like having a three month long driving test. (without them telling you). If that happened then very few of us would hold a license. There would be such an outcry. The Council send people to snoop. The NHS do it too. I have posted on this site that I have caught people randomly doing just this and when challenged they insist that they have a legal right to keep doing it. They turn up unannounced at a sick person’s room and without telling them who they are, they interrogate them. (My father in law mentioned this and we initially assumed that it was new nursing home staff or his GPs). The classic response of an unsuspecting and uncomplaining bed ridden patient is of course, “I’m fine, thank you”. Then, (in their minds. “I don’t want to cause any trouble”), they minimise their own illnesses and their needs……… Job done and all without anyone from the home or the family to disagree or contradict the patient who often does not understand their needs, illnesses or the NHS CHC process at all. I consider that it is unlawful intelligence gathering and there is no paperwork generated that I have been able to access. The intelligence is used to assess when the best time in some patient’s cycles is likely to produce the best result for the NHS. Once they retract funding you’ll never see them doing it ever again. The National Framework concept of “more frequent assessments” for “some patients”, only works one way, apparently. At the June 2015 Independent Review Panel (IRP) for my mother, the NHS stated, on record, that once funding is withdrawn then it would be a waste of their and council resources to continue “visiting”. So there you have it: On the one hand, they waste resources (cheat) with the foreknowledge that so doing will save their employers a lot of cash. On the other they discard the patient because the council care provided to them, alters their status and the person is no longer a NHS patient. Now that is strange considering that in most cases the much cheaper Nursing Care Contributions are paid out by the NHS. In short: Clever people are employed at Directorial level by the NHS and their Commissioning Support Units (CSUs). If you were one of their underlings with a mortgage and car payments, would you simply do as they tell you? Many people would. Over time those are the very people, (and eventually only those sort of people), that are still employed within this process. In principle, i don’t have a problem with representatives from the NHS or Social Services, making a pre full assessment visit to a candidate for NHS CHC, provided that the visit is announced in advance to the candidate’s representative, and to give the representative the opportunity to be present. If these were legal proceedings this “visitation” process would be done in a controlled manner. For a care home to say nothing at all about the visit is utterly reprehensible. But there are no rules; or the rules are made up as the NHS and Social Services see fit. That is unfair. The whole process should be open and transparent, and the candidate’s representative should be kept informed and involved at all times. We often hear from families that assessors have carried out ‘assessments’ or visits behind the representative’s back, and this is something you can of course use to support any appeal. Our CCG eligibility panel has decided not to make any decision at all (they claim because the evidence does not support eligibility for CHC despite the fact that the MDT recommended CHC funding) following an assessment that took place months ago. Instead, the CCG wants to reassess our loved one (we assume because they hope that some of the scores our loved one achieved will be lowered if a reassessment takes place). We sense they will try to delay a reassessment for as long as possible if they can. The CCG has been outsourcing their assessments, but it seems they are on the brink of ending that arrangement and taking the assessments in house we assume. They seem keen to have an entirely new MDT co-ordinator, and nurse assessor conduct the reassessment. We don’t believe reassessment is necessary, but if we are forced have one we would prefer the co-ordinator and nurse assessor who assessed our loved one last time to assess them again because they at least seemed fair, objective and open minded. Andrew they did this to my mum in 2011. The assessment should have showed two severe’s they downgraded it we kicked off. They decided to reassess. The much later IRP decided that the second assessment as a solution was unfair because it did not address the grounds for the appeal against the original attempt to downgrade the domain levels. You must remember that the CCG (or more likely it’s CSU) can only “verify” the work of the MDT. They cannot alter the DST. They cannot argue against the recommendation of the MDT unless they express exceptional circumstances. I would assume that the refusal letter did not contain any exceptional circumstances. Therefore there were none. The NHS likely, simply downgraded the levels to save cash. Further to last: If another and much later assessment is undertaken then it is being done fallaciously in the attempt to justify altering a DST and arguing against the MDT’s recommendation. The eligibility panel cannot do either without having exceptional circumstances. For them to reassess would be to ignore their previous faults. It would be to attempt to over rule the last result of the MDT without expressing and evidencing any exceptional circumstances. They are cheating. The CCG has not issued a refusal letter. So far we have only had a letter sending us a copy of the Decision Support Tool (DST), and the (exceedingly brief) evidence that the MDT is supposed to have presented to the CCG eligibility panel (we had to insist the CCG send us a copy of the DST – we got the distinct impression that the CCG were not going to do so if we hadn’t demanded it). The DST says clearly that the MDT recommended NHSCHC for our loved one, but the CCG has not issued a refusal. The CCG have simply demanded that our loved one be reassessed because (as we were told in a telephone call only) the evidence was insufficient supposedly. We didn’t know this at the time (and have only just found out) but the CSU who conducted the previous assessment sent someone to visit our loved one for a couple of days prior to the assessment to look at a couple of domains, we assume in order to get a feel for how our loved one ought to be scored in the assessment. Our loved one scored 2 “severes” in the previous full assessment! The Department of Health guidance says that the CCG can refuse NHSCHC in “exceptional circumstances”, and one of the examples it gives is where there there is no evidence. But the evidence is there – it is simply that the MDT has not drawn all relevant evidence to the CCG eligibility panel’s attention (or the CCG is ignoring all relevant evidence)! Meantime, the CCG is hoping that by the time a reassessment takes place our loved one’s domain scores will have improved in the CCG’s favour. It’s so frustrating, isn’t it. You could request an Independent Review hearing. NHS England will look at the recommendation and then (hopefully!) would question why the CCG has not put funding in place. I suspect you’re right, Andrew, that the CCG is trying to avoid acknowledging a positive funding recommendation. Reassessment should not be necessary. No. 1 – Behaviour: Severe and Priority scores are almost the same thing. Would anyone be able to explain the difference, as I have a review coming up on the 11th Jan.
One requires interventions to be effective; the Severe score implies that those interventions are not effective. The High seems to require that there is some conformance with instructions. I would suggest that a Severe score in the Cognition doamain indicates the Severe Behaviour domain, if Behaviour cannot be enhanced by the patient displaying compliance. Take the phrases apart and look at what each little section means and then apply it to the minutiae of the patient’s behaviour. If a full assessment for NHS Continuing Healthcare is conducted for someone on, say, the 1st of the month, is it permissible for a multidisciplinary team to use and rely on evidence (evidence which describes inadequately the totality of the person’s needs and at best is no more than neutral about the person’s needs and the interventions required to meet those needs) provided by a care home over a period of the next 7 to 10 days following the date of the full assessment ONLY, in order to support the MDT’s recommendation to a PCT/CCG that the person should be refused, or be no longer entitled to NHS Continuing Healthcare? Is it permissible that neither the person assessed, nor their representative, will have had any opportunity to have seen, comment on or challenge the evidence provided by the care home to the MDT? It was done to my mum in 2011 when the social worker and the NHS nurse could not agree. They asked for 24 hour monitoring for a week after the assessment. In the circumstances it seems acceptable. I think that such practice is justified somewhere in the 2012 updated National Framework. Although, if the evidence (you can ask for it at the nursing home), is very different to what the nursing home had recorded in the three months or so before the assessment then I would be wondering why that had happened. If you visit every day as my dad does then much of what is missed in the official record can actually be argued. Then again the CQC recently booted the manager out because of their inability to keep records. e.g. she would report incidents and injuries involving aggression, in only one patients file. At an IRP in June this year, the chair took copies of my fathers diaries and then held another private panel to read and insert them into the 7 hour long record before making her decision. She had the NHS read the files at the meeting we attended and then gave them the chance to just pack it in and pay up. They declined and took their chances and still lost. Incredible! So basically the NHS can do whatever they wish in order to get the result that they want! What can one do if you discover the care home that one’s loved one is in is basically writing care notes that are unfit for purpose? We remember that the MDT co-ordinator commented specifically during the assessment that the care home’s record keeping was not as detailed as it should be. if the CHC assessor made such a comment in my hearing and perhaps recorded it, then I would have expected that person to begin some action to correct matters. For example; it is necessary for the Decision Support Tool to be fully and comprehensively completed otherwise, a NHS sponsored care plan is unlikely to properly created; if CHC is actually awarded. The DST is unlikely to be properly completed if the nursing care notes etc. are incomplete or haphazard. (That is also a good argument to make at a later IRP appeal). I would consider it remiss of an NHS or council assessor if they failed to do something. The process is after all,”evidence based”. If your evidence trumps theirs or theirs is nonexistent then a court would have to find in your favour even if these NHS people cannot see that such logic applies within the assessment process. Otherwise; your only recourse is to have it out with the home and if you remain unsatisfied, then make your observations plain with the CQC. Just add, this was the next assessment because they had assessed an earlier 10% award that I am still appealing. I have this with NHS England now. The frustrating thing here is, although this assessment was fairer in that they had all the medical reports with them, they were still not assessing the whole needs. They stated that because there were only intermittent problems with skin and pressure problems, they were only moderate needs also. I tried pointing out that my friends bottom was only so good because I and another worked damn hard to make sure she stood up regularly using the rotunda and we were extremely diligent with her skin cleaning routing and pad changes. This process is life changing. After this next assessment I was so upset I had a cigarette after three years of not having one!!!! I am now going to have to appeal this decision as well as the original one to prove that they are saying well managed needs are no longer needs. I feel like throwing myself off the kitchen worktop. Do you happen to have any alternative links, Wendy? I know they were fine when you posted them, but the pages appear to have now changed. Ignore the hospital based advice regarding enemas; what goes on there is supervised and the patient can be more easily observed and attended to by doctors and not (No offence to nurses), just a visiting, harassed nurse. The process is NEEDS based and diagnosis has no place in this matter. Spinal injury or spinal disease? They are the same if the NEEDS are the same. The NATURE of the NEED that you describe in your post is INTENSE and/or COMPLEX and/or UNPREDICTABLE. Those are the criteria for CHC assessment. You assisted with the NEED before it became more serious. You observed over time, that the NEED had become more serious. You had to call the doctor about THE NEED. He had to get the nurse booked to meet THE NEED. She had to travel to meet THE NEED. She took time and used techniques to meet THE NEED. You had to assist. You had to stand by waiting for, only the potentially inevitable result of the pessary. You had to support the patient whilst waiting. You had to clean up the patient. Perhaps change their clothes. You had to clean up the environment. You potentially had to put clothes washing on. You potentially had to put it out to dry and then retrieve it. You (alone) had to be prepared to act further in support had THE NEED not been met. You potentially had delayed feeding the patient and now needed to because they wanted food. Could you have needed assistance? Could the patient themselves ask for the doctor to meet THE NEED. Could the patient assist with meeting the NEED.This was repeated twice in six weeks; most people never ever have that NEED. Parkinson’s does cause such problems during the decline. It is a chronic neurological decline whereas a spinal injury is an acute neurological incident that can also lead to decline. They could both be argued to have the same NEEDS. (Blunt, sorry). The MDT assessors are supposed to anticipate decline and further NEEDS having observed the current level of NEED………. You could list almost every aspect of a person’s so called “social care” needs in this manner. Go through you loved one’s needs and try it as an exercise. You will be astounded. There is also hidden criterion. And that relates to the NEED for continuity of care. Look for aspects of that too. It’s not exaggerating things, it’s just that every tiny aspect of every part of the care need provision should be looked at during an assessment. Even if the NHS assessor warns you that she only has an hour and a half because she has to pick her children up from school. (As happened to us once). Thanks so much to you people for being here. I can honestly say that the support of this forum has saved my sanity. I was thinking that my absolute obsession with this CHC for my friend was, in some way, just me being, well obsessive. I’ve cried and ranted, felt sick. This week my friend had another assessment. Much the same, whereby the outcome was classed as social needs. Chris G mentions how they will look to downplay certain areas. Well they did just that, even with a Parkinsons nurse present, an NHS manager, the assessor and a member from Social Services, who I might add was again nothing more than a bum on a sofa. The NHS manager suggested I could be trained to adminster this suppository, but even then it is time that should be classed as health need not social need. I even turned to the Social Services rep and said that this was beyond the LA remit and she agreed but since my friend is self funding it didnt make any difference. The team then still agreed with themselves it was only a moderate need and not the HIGH rating that it would have stepped up to. The statement from the social services rep is so typical! If care needs are beyond the LA remit, there should be no self-funding and full NHS funding. It’s maddening, isn’t it? I have just been told that my father will be granted Continuing Care funding. It’s take many months, hours of research, so many letters and e mails I have lost count. I’ve met every type of health professional, listened to misinformation, lies, been ignored , been labelled as difficult, I’ve cried, lost sleep and worst of all been robbed of the time I should have spent just being my father’s daughter. The only thing that kept me going was the need to protect my dad from an unjust system and people who work in it. As I said in an earlier posting this is the 3rd time I have been through this adversarial horrible process and ‘won’….I sound bitter because I am but despite this would do it all again. Take heart, if you genuinely feel you have a case, keep going, read everything you can, keep writing , calling, emailing and badgering everyone concerned ,after all we are not out to win a popularity contest ! I certainly won’t. Hi Miriam, You’ve “been labeled as difficult”: believe it or not, there is actually a power available to public bodies to ignore what they assess to be “Vexatious and Persistent complainants. Here’s an example of the NHS’ version that states “Persistent complainants can take up a significant amount of NHS resources to deal with and can be stressful and demoralising for staff. ” Shame. They get paid to spend the NHS’s time and resources and with regard to our overall costs, we don’t. It has been used against me even with the threat of a visit from the NHS’s security team. (never for swearing or abuse; but for getting too close to the truth or threatening to complain). Whenever they impose it I notify everyone involved that I will not respond to invoices, correspondence etc. on the grounds that I have been told that my correspondence/calls are to be ignored. Catch 22 sometimes works the other way too. Thanks for your comment, Miriam. Many families will certainly be able to empathise with your experience. Well done for persevering. One additional thing. It would be helpful to hear from anyone about the type of evidence they have used to prove that Clinical Commissioning Groups (or the now defunct Primary Care Trusts) are/were taking financial considerations into account when refusing NHS Continuing Healthcare Support, and how such proof/evidence was obtained. Hi David, Probably very difficult to do this unless you had financial assessments (means tests) done by the council prior to a first CHC assessment. I am with our council, arguing that data collected after a refusal to continue to fund was processed unlawfully because having won appeals that took two years, the care charges levied by the council never were valid and so the financial data collection and processing was unlawful too. So far the council Data Protection Officer has had to keep referring the matter to a Ltd company that acts for the council in all of it’s financial matters. I would argue that they are behaving unlawfully on that ground alone. The Ltd company does not want to know. They consider themselves above all of the rules and law that the council has to operate under. I will be passing the matter to the Information Commissioners in the near future so that they can investigate. This matter also relates to three refunds worth tens of thousands of pounds each, made to the council by the NHS upon successful IRP appeals. It also relates to the zeroing of those accounts relating to my mother. Then again, it relates to the recovery of tens of thousands of pounds of council funding and the NHS’ repayments to the nursing home too. It relates to the social services documentation that formed the means test calculations. Then again there is also the accounting and legal aspect of making court threats for the enforcement of money that was never owed. In addition there was the ‘special projects’ departmental communications that sought ‘different’ means to to get the cash from us too. My understanding, (and experience), is that financial accounts should be accurate, accessible and audited too. They must also be kept for many years afterwards. How can such records be legitimately held in an ‘unstructured’ manner? Therefore what was written above is an obvious lie or the council is committing criminal offences involving billions of pounds of tax and grant contributions. Bearing in mind that even when the NHS was paying for my mum, we still kept getting monthly bills for her care, the accounts cannot have been spread across lots of little computers and filing cabinets, (or randomly thrown in the loft? ), in an unstructured manner; or how could they have been discovered and so, used to incorrectly bill and then recover the unpaid cash they claimed was owed them? Once again I am being lied to in a clear financial matter; it is criminal Fraud if it is done deliberately. It is civil Fraud if done recklessly. These people are liars and cheats. Let them take me to court for libel and prove that they are not what I claim. Beware of them all. Usually it’s the verbal questions that are asked that give it away. Almost always, a person needing care will first be asked about their money. Reports from families also indicate that financial questions are sometimes asked in Continuing Healthcare assessment meetings. In as assessment meeting I sat through myself, the very first question asked was whether the person being assessed would be self-funding. This indicated either an astonishing lack of knowledge and training on the part of the person who asked, or a deliberate attempt to ascertain whether assets were available. The Department for Health’s National Framework guidance says a Clinical Commissioning Group should issue a decision about whether or not someone is eligible for NHS Continuing Healthcare within 28 days of the Checklist (or I assume the date of the assessment – although from everything i have read so far it is not absolutely clear to me). But is that 28 day period 28 calendar days? Or 28 working days? I am also interested to know if a significant number of CCG’s provide individuals who have been fully assessed for NHS Continuing Healthcare with a draft of the Decision Support Tool that the Multidisciplinary Team present to the CCG panel who will issue a final decision on eligibility. There is other literature that indicates it is good practice for CCG’s to issue a draft of the DST (although of course it is not compulsory for CCGs to do so). At least that way those being assessed, and their representatives could be confident that the domain scores discussed during a DST assessment meeting are not changed arbitrarily before the final Decision Support Tool is presented to the CCG NHS Continuing Healthcare Eligibility Panel. Hi David, The Framework requires the DST and the reasoning for the decision to be sent “as a minimum”. Yet our local CSU (the CCG’s henchmen), refuses to do that on the stated grounds that they do it under signed for postage and many recipients are not at home to sign for it. They could of course simply send the DST etc. to the person in the nursing home where I am sure someone would be around to sign for it. I have reported here that I have received DST copies on memory stick that have been altered even after the date of the Eligibility Panel. I have also received forged DST’s that claimed to be the original that denied funding when I already held a social worker’s copy of the hand written original that recommend funding. The Framework denies anyone the right to alter a DST but sometimes they do it anyway. Thanks Chris. I do get the sense very few people receive a draft of the DST so they can check it hasn’t been altered from the scores discussed with the service user or their family at the actual assessment. I contacted both NHS England and the Ombudsman enquiry sections to find out if they could confirm whether this “28 day” period (which is specifically mentioned in the National Framework issued by HM Secretary of State for Health is 28 working days or 28 calendar days. Both NHS England and the Ombudsman (the person i spoke to at the Ombudsman did hazard a guess that the time period is 28 calendar days but wasn’t sure) suggested I contact the CCG for an answer! I haven’t contacted my CCG in this instance but at the moment the sense i have is my CCG (who I have heard absolutely nothing from) is working on a 28 working day time limit. It feels like the Department of Health is allowing individual CCGs decide for themselves when this time period begins and ends which is unacceptable. I would imagine it’s 28 calendar days. Thank you Angela. It is indeed 28 calendar days. This time limit is mentioned in the practice guidance issued by the Department of Health. Thank you Angela. I have now made an official complaint, you have helped me to feel more sure of my case, it can feel more than a bit lonely out there. Thank you Angela for your response. Talk about brick wall!!!!! I have again talked to the NHS continuing care team. They insist that the case has to go to retro, the whole thing has to be reviewed back to the checklist. I have said that due process is not being followed, I should not have been asked to pay until the matter was settled, there has been unreasonable delays.They are making new rules to suit themselves. They admit that we might loose some of the back pay or all of it.I have said that, that is not reasonable and that I strongly object. It certainly does sound as though they are making things up as they go to suit themselves. Definitely complain in writing – frequently and vociferously. Thanks for you comments Chris. I feel that the key question here is “How can this be a retro case; a retro case pre dates the checklist”. I am not trying to pre date the claim. You say that the the claim should be backdated USUALLY to date of checklist assessment. I am not sure what you mean by usually, do you know of any doubt like our case? Financial rewiew!!! Do you have more than ££££? The answer was yes so that was that. Not a problem. The social worker in hospital told me that care at home would be about £ 2000 a week: Two carers four times a day. I asked what the options were, I was told there are not any. He later came back with the good news that Health would pay for one carer. I have been paying the County Council. I have stopped paying. Fortunately friends had been urging us to have a Checklist done as soon as possibly. I could write lots more but I will stop here for now. Thank you Chris for your response. My key question is. ” How can this be a retro case, a retro case is a case that predates the check list”?. I am happy with the checklist date. I just don’t see why I am being asked to justify the claim from the checklist date 08/07/14 to 31/05/15 date found eligible all over again. New rules have been invented here. I can find nothing like it anywhere in all the things I have read. I don’t want to take the risk of being turned down, knowing how unreliable the whole system is, when I feel that it is quite clear that I should be refunded from the date of the checklist. I could write pages about all that has been going on,I will stop here and hope that somebody can confirm that I am right about this so that I have a firm case to argue before I start writing to NHS Continuing care. I would be glad to have some comments on this situation please. My husband was found eligible for NHS Continuing health care 3/7 15 almost a year after the checklist was completed 8/7/14. On 29/10 15 I phoned to find out how things were progressing, as I had heard nothing. only to be told that the case has to go to the retrospective team to decide when my husband is eligible from. All the paper work has to be resubmitted and I have to fill in endless papers again and find evidence to support the claim back to the checklist. I have argued the case for thirty minutes on the phone suggesting that “Due process was not followed” and the refund should go back to 8/7 14 +28 days. They have made up new rules. They go on about how they cannot just pay out money with out the retro assessment. I have been unable to find anything to say thay they have a right to do this. I have said that it is not acceptable and that I am thinking of making an official complaint. None of the delays are down to us, we have been very prompt with our paperwork. Please can somebody advise me what to do. Karin, He should be eligible usually, from the date of his NHS CHC assessment. If it was very delayed after the checklist in 2014 then I would argue for a date nearer to that checklist on the grounds that you or he did not cause the delay. You appear to have done that on the phone. Perhaps you need to put it in writing too. If he was released from a hospital without an immediate checklist or a CHC assessment then I might argue that he had continuing care needs that were clearly in existence and then confirmed in the checklist of 2014 and then the chc assessment. I might argue from closer to the date of the discharge, in that case. I would do the same if a doctor had advised a move to an actual nursing home, on medical grounds. Especially if there was any significant delay in carrying out a checklist or chc assessment. I don’t doubt that you have been self paying or that the council has carried out a financial assessment and you are contributing by paying them. If so, how can that be correct when the NHS has accepted that the care needs are theirs to provide for and that the care is beyond the council’s legal remit to provide? If you have not done so I would suggest (and this is my tactic and my opinion so it is up to you), enquire about stopping payments and write to the home or the council with a copy of the letter from the NHS admitting that the costs are theirs. It is disgusting to have been delayed so long by these people. I hate to state it but you are likely due a mandatory 12 months review too. So you will get to do it all over again. Please don’t let that thought get you down. Information should never be a burden. You’re correct, Karin. This is a current assessment and not a retrospective one. The payment should be forthcoming – and from the original Checklist, as you say. We are still none the wiser when precisely the multidisciplinary team’s recommendation was submitted to the CCG, who the CCG wanted additional information/documents from or whether the information/documentation has now been provided! I have another question to ask you if I may please. We understand from your excellent website and book the sort of information and documents we need to gather from the clinicians, other NHS organisations and care homes for the purposes of challenging eligibility for NHS Continuing Healthcare. But precisely what information and documents, if any, should we be obtaining from social services? David your last question is a good one. So far our social services have been useless due to not even having an agreed dispute resolution procedure that the framework requires. Then they lie by claiming to use versions (that do not exist) in the interim. The latest debacle is the senior data protection officer cannot gain access to all of the data collected from us because it has been sent to private companies that work for the council. Those companies do not want to play ball at all. Once again it would require a complex investigation from the Information Commissioners Office or the police as it is an offence to process data in some circumstances, let alone fail to lose it or lose access to it. Update, I am still fighting to get the data that my mother and father in law are entitled to see, from the council. This has been going on since July 2015. The law requires them to complete it within 40 days. (not just working days either). Maladministration is proven. Data Processing Act offences have been committed. What has happened is that the council has established a soon to be privatised company and staffed it with their mates. The financial and court action data that I require is held by the company and not the council: The council’s data protection officer cannot gain access to it even though law states that they should be able to access it. The company the council employs has refused to co-operate. They say you can’t fight city hall…….. Try fighting them and their privatised henchmen too. Bearing in mind the increasingly privatised NHS CCGs, we are all going to have to suffer from this multiple responsibility scenario and role swapping stupidity, very soon. It scares me how little I still know about the process, and particularly the information one is entitled to receive from social services and the NHS. Why don’t these public bodies act in a transparent manner? I will ask social services to provide the social care report (which we have not seen). Exactly how long is one supposed to wait before chasing the CCG to issue a decision following a NHS Continuing Care recommendation? We were told wait 35 days following the assessment that took place to allow the multidisciplinary team to send their recommendation to the CCG. We have done that (and then some!) and now there is the sound of silence. We have tried to find out when the multidisciplinary team submitted their recommendation to the CCG, but have heard nothing. Is it really “normal” to be met with no response to letters or emails? If that were happening in a well run private sector organisation the individual(s) concerned would be warned and if it continued lose their jobs. HI David – the whole process is supposed to be completed within 28 days. However, in my experience this rarely happens and families are left chasing and chasing the NHS for a decision. Sadly, it is also not unusual for emails, phone calls and correspondence to be ignored. It can be infuriating. Unless the assessors have stated that they need to gather further evidence, there’s really no reason why they can’t send their recommendation to the CCG straight away, save for the time it might take to type up all the notes. Many people would echo your thoughts about the way people operate in this process and the comparison with the private sector. Don’t let the delays by the NHS force you into paying for care before a proper decision has been made. More on this in regard to maladministration: We have had a CHC panel make an eligibility decision with about 14 days. The trouble was that upon requesting all copies of the DST in an electronic format, wheresoever held, we discovered that metadata on some of the DST files showed editing that had taken place after the panel dates. When challenged the muppets involved just refused to accept the facts. Only a complex Police investigation could unravel this. Try getting one started. No chance. They do not consider it is in the public interest to do so. I feel it was clearly the case that my friends needs are nhs needs since the needs are totally related to her illness (Parkinsons). I feel a lot more confident to carry on with the fight. I have been told by CCG that I have to contact NHS England to arrange/apply for an Independent Review (I thought that was their job but hey ho)I will contact them this week. I also spoke to the Ombudsman office today and an agent there said that it did sound that there would be a case for Ombudsman review based on the way NHS have handled the process, but still to carry on with the IRP and then contact them with all details. I took my friend to her consultants appointment today. I gave the consultant the copy of the latest panel decision together with the DST that had been submitted. He said it beggared belief, he had been seeing my friend for the last 3 years and he said he couldnt see how it was possible she had been refused. He said she is most definately Advanced Parkinsons, her needs are complex, she has no dexterity, cannot use one hand, the other being hindered by the dyskinesia, she cannot open her eyes for any length of time and is involunatary twitching her eyes every 6 seconds, He states that he has been highlighting her hallucinations (deceased family member and mice on carpets) for the last two years but had also highlighted that any further medication would make her state of mind worse. He said he failed to see how the assessment stated that there was no evidence. It was because the assessor failed to provide the panel with the information I had given ie the consultants letters. Watch the lectures people, it really highlights how it doesnt have to be high level nursing needs. The consultant may be able to bring some pressure to bear – if for example he writes a strong letter to the assessment team expressing his ‘concerns’ about evidence (and perhaps his own evidence) having been completely ignored. Thank you very much Angela. You have given me food for thought and further action. To my utter shame I assumed (like most taxpayers) that the NHS always fulfils its obligations and ensures it always conducts reviews for everyone potentially eligible for NHS Continuing Healthcare in a timely manner (in accordance with the guidance issued by HM’s Secretary of State). Is this really what our Health Service has become? Willfully denying citizens who have paid income tax and national insurance their entire working lives their legal right to NHS Continuing Healthcare! I am still surprised how little or no coverage there is in the press about the capricious and arbitrary manner in which the NHS Continuing Healthcare system is administered to stymie those who are eligible. I agree with you, David – and I think many other families share the same sentiments. Angela, thank you very much for this website and your extremely helpful book. Both invaluable resources. After a considerable amount of persistence recently we managed (finally) to get the CCG in which our relative resides to conduct a further assessment of our relative’s eligibility for NHS Continuing Healthcare. After a delay of some years since the previous assessment! And during which time our relative’s health has declined significantly. The Assessors who conducted the review indicated that they would recommend to the CCG that our relative should receive NHS Continuing Healthcare, so we are waiting to receive confirmation from the CCG. During the assessment one of the assessors indicated that they had been working through a backlog of people who are entitled to an assessment for NHS Continuing Healthcare and in one instance the Assessor mentioned one individual who had not been assessed for at least 10 years! We contacted the Alzheimers Society to tell them about our experiences of the delay that is taking place in assessments, and to highlight the 10 year delay that was mentioined to us. The person we spoke to at the Alzheimers Society thought that 10 years was “an extreme example” of delay. Hopefully it is. How much of a backlog is there in CCGs (and whichever predecessor organisation that previously had responsibility) not conducting assessments for NHS Continuing Healthcare, which, according to the National Framework, should be conducted annually? This issue doesn’t appear to have come within the radar of our national press. And if the public don’t know that there is a problem how can the public contact their elected representatives to ask that something should be done? Is a failure by CCGs to conduct these assessments on an annual basis as recommended by guidance issued by HM Government “maladministration”? And can someone who would have been eligible for Continuing NHS Healthcare at a date significantly earlier than the date on which an assessment takes place ask the CCG concerned to repay to them fees that have been paid, wrongly, in care fees? Can the fact of delay by the CCG in failing to conduct NHS Continuing Healthcare assessments in a timely manner in accordance with the National Framework be used to recover retrospectively fees that should not been paid? Will a CCG that has accepted someone is eligible for NHS Continuing Healthcare from at least the date of the assessment delay putting the NHS Continuing Healthcare in place if that person decides that they want to ask the CCG to repay care fees wrongly paid from an earlier date? the press does not seem to know much about this. I am afraid that it is so complicated that the press cannot unravel it and then write a quick story that would be easily understood or perhaps even believed. No one is even interested that for around two years, Commissioning Support Units (soon to be privatised), the subcontractors to the CCGs, were making CHC eligibility decisions when the law denied them the right to do so…… The decisions were the sole legal duty of the various CCGs. Ignoring a Legal Duty is likely maladministration at the very least. e.g. Would it be acceptable if your Bank’s accounting and billing was done by a subcontractor? Perhaps by the toilet cleaners, buildings managers and photocopier services providers? If what I know is true (if not then why has our local CCG/CSU finally altered the way it does it), then I estimate that perhaps 18 billion pounds worth of eligibility decisions in England have been made by the wrong organisations……. This is with the full knowledge of NHS England and the Secretary of State too. Thanks for your very kind feedback, David. Regarding the positive recommendation from the MDT, the CCG should only reject that in exceptional circumstances. This may help – and although the article is about retrospective claims, the points are just as valid here: http://caretobedifferent.co.uk/retrospective-claim-for-care-fees-rejected/ The delays in assessments are completely unacceptable, and you’re not alone in raising this as an issue. It seems that annual reviews take place fairly promptly when it’s in the interests of the NHS to see if funding can be removed, but for people who have not yet been assessed, the lengths of time some people have to wait are an absolute scandal. Yes, I would certainly argue that this is maladministration – and people are also often wrongly forced to start paying care fees in the interim before any reliable decision has been reached about who is actually responsible for paying for care. This potentially puts local authorities in an illegal position, by effectively accepting responsibility for care that is beyond their legal remit (even if a person is self funding). There is still scope to reclaim care fees wrongly paid, although this is more limited now. However, if the reason those fees were paid is because the NHS failed to abide by its responsibilities to assess in a timely manner, there may be a legal argument to reclaim further fees. I have heard of instances where a CHC team will seem to ‘weigh up’ the likely repayment due against the decision of an award of current funding, but this kind of behaviour is completely unacceptable. Thank you for your comments and link. They are helpful when someone is starting out with the process but unfortunately they don’t (and I suppose they can’t) give the full information that many of us are looking for. Most frustratingly, the Parkinson’s Nurse visited. She suggested I leave the tray on my friends knee to help balance a cup with straw. I told her that was no good since my friend has no balance and often slips to one side and the tray falls on the floor. Or, how do they expect she is able to get the straw into her mouth whilst holding the cup balanced and balancing a tray on her lap? All this from the healthcare professional that is supposed to be assisting with an assessment. I digress – back to the question, is requiring feeding and drinking, based on the fact that it is due to the Parkinsons, a social need or a healthcare need? I really feel like walking away but that would mean my friend would have to go into a care home and she desperately doesn’t want that. It is the examination of all of a person’s needs and then a comparison of them against the eligibility criteria to discover if any or all of the needs are complex, intense, unpredictable. There is also a barely mentioned (in the Framework) consideration required if the total needs indicate that continuity of care is required. For example: Incontinence has social care and medical care components, such as: How long does it take to deal with? How many staff? Does it affect others? Is clothing removed by the patient? (Disinhibition behaviour). That one needs to consider the clean up not just of the patient but of the environment as well. How long does that all take? Where does it take place? Is it in a dangerous place? Do staff actually prevent it at times? How often does it happen? Does the clean up significantly delay other services to the patient or others? Does the patient actually wear incontinence pads? Do they refuse pads? What problems does that cause? Much of the other issues in the DST can be approached in a similar ‘nit picking’ kind of a way. If the CHC assessors try to minimise matters at assessments by insisting that they are purely ‘social needs’ then they are not assessing properly. The legal test of the council’s remit to provide care is about all of the needs combined. So far, 1st DST: A farce, a couple turned up without any notice and just wrote down what they wanted really. The NHS person even moaned it was taking too long and she had a lunch appointment. The social services person was neither use nor ornament and said she was just there to be a fly on the wall. I told them to get on with it and we would appeal what they had written later. Appealed and because it was upheld that procedures were not followed and incorrect information was recorded, a 2nd DST was carried out: said no primary healthcare but we will pay you 10 percent of care costs. Appealed saying that was not acceptable and refused the 10 per cent on the basis that they were only offering it so they could halt the appeal process. They state once the 10 percent is being paid they then have the right to do another DST. My view is that they want to do this so that they can say that Mrs X is now much worse than she was 18 months ago so they do not have to pay back pay. We have had internal review and then onto peer review. In the meantime I made formal complaint to Patient Liaison who agreed it had taken longer than is acceptable. They sent the DST back to peer review because it was proven the peer review panel had used the criteria on the flawed first DST and not looked at the correct information on the 2nd DST. Peer review agreed there were issues re High nutrition, mobility and drugs and medication (because of dyskenesia my friend cannot drink or eat unaided. Cannot take own medication and speech and language gave report to show there is dysphagia/risk of aspiration). My question is now, if we accept the 10 percent can we still carry on with the Independent Review and to the Ombudsman if necessary or will they say that the process is negated because we have accepted that and a new process would start i.e. the new DST and panels? NHS say it is without prejudice and we will still be able to continue with the appeals, but suggest that we do not take it further because we are unlikely to win a full funding. They insist that all the needs are social needs. Looking at the Coughlan needs, I disagree. I do not trust the NHS are telling us the truth. It sounds like there has been a lot of impropriety in how the assessment process has been conducted, Carol – not to mention how unprofessional the assessors have been. I think you’re right to be suspicious about what they are telling you. Regarding the social worker/local authority representative, these two articles may help: http://caretobedifferent.co.uk/care-act-2014-helps-you-with-nhs-continuing-healthcare/ and also http://caretobedifferent.co.uk/nhs-continuing-healthcare-assessments-2/ It’s not unusual for assessors to suggest you don’t take things further because there’s little chance of succeeding. In my experience it may be a way to put you off and make you go away. If a person is not eligible for CHC, they should immediately be considered for Funded Nursing Care (FNC), which is the weekly payment – currently £112/wk – rather than being offered some arbitrary percentage that seems to have no basis. That indicates the assessors either don’t know what they’re doing, or they’re trying to get you to accept less than your friend might be entitled to. You can still continue to appeal if you receive FNC. Before you accept anything, though, including any percentage, I would insist on the NHS providing written reasoning for the percentage. Also, make sure you state clearly in writing that any payment made that is less than full CHC funding does not indicate your acceptance of the funding decision and that you will continue to appeal. But first I would question on what formal basis they are offering 10%. It doesn’t sound right at all to me. Hi Angela. I agree with what you wrote except that if someone is being cared for at home then the £110.00 or so Funded Nursing Care Contribution is not available to them as far as I am aware. For example. If a NHS “district” nurse was in regular attendance then that would already be covered by the NHS. FNCC is payable because a registered nurse is employed to provide care as a registered nurse. Carers or family and friends can be considered to provide nursing care but not in the same way as registered nurses. That was part of the judgement made in Coughlan and other cases. What is the remit of the council (or non NHS others) to provide nursing care seems to have been the question that the judges tried to answer. I hope that I am correct. Although the two cases are the reason we now have a National Framework (Coughlan and Grogan) it seems to me the assessors can do more or less what they please, as who is going to slap them on the wrist. The law might still be the law but theses assessors know we are not well off enough to employ a solicitor and as for an appeal that can go on for months even years, so what else can we do? I think many families would echo your comments, Barry. F1.1 Pamela Coughlan was injured in a road traffic accident in 1971 and as result became tetraplegic (spinal injury) and wheelchair dependent. She retained some (very limited) use of her hands with which she could manoeuvre her electric wheelchair and write (with a pen strapped to her hand). She remained completely mentally aware, could access the Internet, converse freely and represent her views articulately. She had no cognitive impairment or behaviour that could be described as challenging. F1.2 Pamela Coughlan was paralysed in the lower part of her body, with no movement in her legs, and limited movement in her upper torso. She required hoisting for all transfers however once transferred into a wheelchair she has a reasonable amount of independence. She required repositioning approximately 8 times per day to maintain skin integrity. She did not require a regular programme of active or passive physiotherapy or exercise, although being assisted to stand twice per week assisted with maintaining appropriate organ positions and strengthening her bones. F1.3 She wore a corset during the daytime to keep her chest upright without which she would have had breathing difficulties. There were no night care issues regarding her breathing. F1.4 She was doubly incontinent; needing intermittent catheterisation, every 3 hours as this proved the most effective way of keeping dry. She required manual evacuation of her bowels every second night. F1.5 Because of her injury she was unable to maintain her core body temperature, which was unstable and variable, and consequentially, because of excessive perspiration, she required changes of clothes and the corset up to three times a day. Pamela was able to tell when she was too hot or too cold and therefore proactive monitoring was not required regarding this aspect of her care. strapped to her hand provided that the food is cut up for her. Someone needed to hold a cup whilst she was drinking as her hand would spasm if she touched a hot cup. F1.7 Clinically and from a nursing perspective she was stable with predictable needs some of which presented with medium risks e.g. regarding fainting if air flow was inhibited (managed by corset), spasm provoked by heat (e.g. hot cup), autonomic dysreflexia (very high blood pressure) as a result of pain or injury below the spinal injury site (T5/T6). F1.8 All of her medication was routinely prescribed and administered by mouth; Senokot, Docusate, Calcium, Iron. Once her condition stabilised she did not require an allocated consultant nor require any interventions from ‘specialist’ healthcare professionals. The court found that Pamela Coughlan’s needs “were primarily health needs for which the Health Authority is, as a matter of law, responsible”. F1.9 Pamela Coughlan’s healthcare needs and her need for registered nurse care were neither complex nor unpredictable. However the court took the view that a) the quality and quantity (nature and intensity) of her health needs and interventions were such that she had predominantly healthcare needs and b) her need for registered or unregistered nurse care was more than incidental or ancillary to her accommodation needs and was not of a nature that a Local Authority could reasonably provide (i.e. they were not social care needs). Copy and paste it and then look for and list the corresponding ailments of your loved one. I did such at a June 2015 Independent Review Panel. They did not even try to argue it in support of the NHS managers that were present. Reading the National Framework paragraphs 27 and 28 sounds like another one of the get out of jail free clauses? Hi All, would any one be able to define what the legal limit is for the Activities of Daily Living before it becomes an NHS problem, I know washing and dressing is a social need but am not sure where it goes from there before it becomes a CHC funding issue. Hope I’m saying this right. Hi Barry – National Framework page 50, paragraphs 2.1 to 2.3 describes the difference between a health need and a social care need, and you may find that helpful. https://www.gov.uk/government/uploads/system/uploads/attachment_data/file/213137/National-Framework-for-NHS-CHC-NHS-FNC-Nov-2012.pdf The legal limit was also reinforced in the Coughlan case, as mentioned before. Today I visited my very ill father and my mother was asked to sign two forms – one is named “NHS – Assesment o Nursing / Healthcare Needs”, I can’t remember the name of the other as they wouldn’t let us have a copy of it. 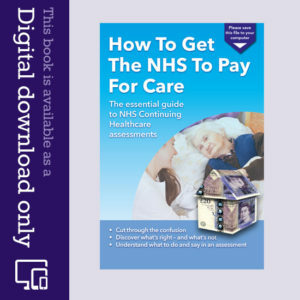 The first consists of several pages and sections matching those from the NHS Continuing Care Check List (but it doesn’t appear to be that actual document – there is no A, B, C rating). Several sections of the document were incomplete or it wasn’t possible to read them. The section they asked us to sign was for us to give consent for information to be shared with other agencies and professionals and to agree for an assessment for NHS Continuing Healthcare. We don’t see why, at this stage, my father’s information should be shared with other agencies – we also don’t want to sign something where we can’t read or understand much of the document. We asked if we could take a photocopy away but they say it is confidential information. Have you heard of such a form and is it normal for to have to sign this? When I say it wasn’t possible to read some of the document, I mean it was illegible due to bad handwriting. Hi Paul, The Data Protection Act is a bit of a nuisance whenever the NHS wants it to be and does not seem to exist whenever it helps them to ignore it. However, I have always been asked to sign on behalf of my mother that there will be no comeback if her records are shared between different NHS bodies and the Council. After all, a CHC assessment requires any and all available information and reports otherwise it cannot go ahead. Hi Paul – thanks for your comment, and I’m glad you’re finding the book useful. That’s always good to know. In the CHC assessment process, the only forms that should be used are the Checklist, the Decision Support Tool (DST) and the Fast Track. I know that some hospitals, certainly in London at least, also use a form called an HNA – Health Needs Analysis or Health Needs Assessment – but this does not negate the need for the Checklist, DST and Fast Track forms. The National Framework guidelines make it clear that these are the only forms that count. If you (or your mother) are acting on behalf of your father, you should receive a copy of every assessment form, and be involved in it’s completion – and have the opportunity to see it and object to any omissions or inaccuracies. I always advice caution when it comes to signing such forms, because I have known assessors to use argue (falsely) that such a signature means that the family agrees with the outcome of an assessment – and yet the outcome of an assessment is not known until later, and assessors don’t have the power or right to make the final decision. Any views on this one. A fast-track assessment completed by a district nurse on a Thursday and faxed to the CCG for my terminally ill mother. On the following Monday CCG performed a review using the checklist and decision support tool. The CCG have put in CHC until the panel meets but have said the next stage in their review is for a social worker to visit my mother. My mother has deteriorated since Thursday, a lot weaker and tired, as noted on her medical records by a carer. Is it now the norm for a successful fast-track assessment to be reviewed by the CCG based on the checklist and decision support tool within 5 days? Any insight greatly appreciated. Hi Ellie – normally the Fast Track process is done when it’s clear that a person is either in a period of rapid decline and/or at end of life. It’s good that CHC has been put in place – as that’s the whole idea of the Fast Track. It sounds to me, though, as if this is now turning into a ‘normal’ assessment process, which doesn’t seem right at all. Also, if you have not been involved in the completion of the Checklist and DST, this is also incorrect. But those two things are not needed in the Fast Track process. Thanks for your very helpful comments. I have now engaged a solicitor to help so I hope she may kick a few buts into gear. Just digressing a little I heard something on our local radio this morning which really made me so angry. The NHS in providing personal budgets are apparently funding things such as horse riding, massage sessions, and even provided someone with a summer house so that she could have some personal space!! My poor mum even had to pay to have her ears syringed. The whole system is ludicrous. Christine, “The whole system is ludicrous”…….. So it seems. So it likely is. I hear what you are saying and I agree 100%. The LA could not have legally provided the nursing care to meet my mother’s needs, yet I’m told her needs were incidental and ancillary. The reasons for the decision makers refusal reads: “she had identified needs in the areas of cognition, psychological and emotional, communication, mobility, nutrition, continence, skin, breathing and drugs therapies and medication. There is no evidence to suggest that she required an intensive management plan,or that her care was lengthy or difficult to deliver or that her needs frequently changed. Her cognitive impairment did impact on her ability to participate in social activity. She was unable to take responsibility for meeting her own physical needs and as a result needs were anticipated and met by care staff. There is no evidence to suggest that there was a quantity and severity to the levels of needs which required an intense management plan,or that her care was lengthy or difficult to deliver and she did not need a high number of carers to undertake them. She was unable to reliably communicate her needs and required her safety and physical needs to be anticipated and provided for on many occasions. Her needs were not complex requiring skilled and enhanced knowledge to address them. Her needs did not frequently change and there is no evidence to suggest professional knowledge or skill was required to spontaneously respond to unpredictable needs”. On the other hand the MDT had said that her needs were complex as there was an overlay in several domains. She scored 1 severe, 4 High,4 moderate 2 low. I think the decision makers have certainly admitted that she had a high number of needs however it appears that this is covered by the Funded Nursing Care payment (FNC). None of this seems to me to fit with the law or the National Framework but these people seem to be a law unto themselves and what chance do we have of fighting against them. I wonder how some of them especially those who call themselves nurses sleep in their beds at night, and local authorities (LAs) seem to just let it all happen I have not managed any response at all from them but will continue to await the outcome of my appeal. There are so many of us in this position yet as Linda commented if you are self funding nobody wants to know, those who are self funding are the ones who are helping to fund those who are not, as CCGs and social services pay a lesser rate. Hi Christine, This is just my opinion. In the case of a self funder, I would definitely seek the best solicitor and barrister combination that my loved one could afford and blow the lot in an attempt to get the LA/NHS to behave. I would start with the LA’s remit to provide the care. That was, after all, the basis of the Coughlan case. That way, if fortunate, (unless you have chosen the locality’s most expensive nursing home), you will get the NHS to start to fund, else at the same time you will lower the savings to the point that the LA has to get involved with the funding. (That of course all depends upon capital, assets and pensions etc.) Many people only have some small savings and a regular pension. It seems bloody minded but in a similar case as mine, I would rather give it all (that part over £14,000), to lawyers than to the home and subsequently to the council in repayment for their involvement. I have been assured by lawyers that using the money to protect the money, as it were, is lawful. Just a quick one Christine, The recent IRP that we attended stated that inability to communicate was definitely a healthcare need in person with loss of cognition – on the grounds that were they to become any poorlier, or hungrier, or thirstier, or needed the toilet etc. they would not be able to tell anyone and then explain the circumstances thereby making treatment or care more difficult to provide. It was seen as unpredictable and complex and intense. For very obvious reasons. Every care need that you can identify requires you to play up its obvious manifestations. Then you need to look at the “what if” aspect of the care need and “what if” the care is not given. What goes on after the need is met. The longer you look at it the more complex or intense the need becomes, so a long description of care is needed rather than just a single line in care home notes. As for the LAs….. Don’t get me started…..
Why the Taxpayers alliance has not cottoned on to this double taxation malarkey I have no idea. After all we all pay for the NHS. And many of us pay local council taxes too. For the latter to be allowing the NHS to look considerably less expensive than it is (potentially profitable) and a better prospect for private companies to invest in is a travesty. It also removes money from the LA’s coffers that is supposed to be spent on local infrastructure and projects that benefit all local people and not just those that the NHS will not pay for. This is the dodgiest hiding of central Government expense that I can ever remember. 1. All that they own is a slowly accruing pension and perhaps a small amount in savings. 2. if your council is like mine, one that carries out a means test, pays for the care and then demands reimbursement. 3. If you do not have a Lasting Power of Attorney or a Deputyship. 4. If you are doing this out of principle as opposed to trying to preserve an inheritance. (nothing wrong with that either). Then my advice would be to refuse to reimburse the council until all appeals are exhausted. The alleged debt is not yours. The council cannot really go to court until all appeals are concluded anyway. It is the case that you cannot seek redress from a court until appeals are concluded, that must by all logic apply to a council too. Even if 3. above applies to you I might still do it this way. The reason? If the County Council takes your loved one to court, then insist that the CCG attends because even after appeals the NHS might have made an error that their appeals process could not address. There is every probability that you can persuade a real judge to consider Ms Coughlan’s needs in comparison with your loved one. The documents in the CHC assessment would likely be necessary in the case too. There is every probability that you could display wrongdoing or even illegality by both the NHS and the council in front of a judge. Bear in mind that throughout this process, the CHC appeals system does not allow anyone to address illegality or wrongdoing; junior staff at the NHS and local council often does not understand or are not sufficiently senior to be allowed to consider matters to be within the remit of the appeal. A real court would be obliged to rule on such matters. So the trick is to list every reason that they are wrong. Include documentation. Include the law because it takes precedence over the National Framework. Then include the DST rules. The National Framework and Practice Guidance rules. And any other local procedural rules that you have uncovered. Don’t forget the council’s similar rules in all of this too. I might add that doing something very similar will gain greater attention from an Independent Review Panel too. So in a nutshell….. Describe each single point of dispute. Show why they were wrong by listing every supporting document that you can. Then repeat over and again. My last IRP appeal documentation ran into over 80 pages of text without inclusion of the reference material. Their reply ran to over 65 pages. Of course, lawyers might well need to be used in any court action. If you feel strongly enough then you may think it better to spend the loved one’s cash in an attempt to protect the cash from the automatic payment to the council that would happen otherwise. I would rather give it to the lawyer than to an obviously recalcitrant council that seems to be in cahoots with the NHS in fallacious decision making in any case. This has all been a personal opinion. I would in any case have a quick chat with a specialist who understands both the CHC and the council billing side of the matter. It is also possible to defend against the council’s claims in a court, considerably more easily (usually less expensively too) than trying to take them to a court over a series of infractions. I try to start with the local authority’s (LA) remit. If you understand their limited remit to provide nursing care and accommodation in which to provide the care, then it all becomes clearer. In many circumstances, it is actually illegal for them to accept nursing care needs. Similar illegality for refusing to provide care cannot be shouted in the faces of the NHS. At a recent IRP a Commissioning Support Unit (CSU) boss stated that a “MEDICAL NEEDS TOOL” was necessary because another IRP had told them to use one in making Eligibility Decisions. That of course is nonsense. They were likely told that the DST should be completed in such a way as to support the care of the patient….. a kind of skeleton care plan with the emphasis on healthcare and medical needs if you will. Their response was to strip out all of the needs write them in a form and then to discuss only MEDICAL NEEDS. Which of course could be done by looking at and extrapolating outcomes from diagnoses alone. (which is not permitted in the National Framework). It was decided at our recent IRP that the CCG/CSU had indeed stripped out all needs that were not MEDICAL NEEDS and it was implied that it was foolish to have done so. That was bourne out at a recent IRP, that one does not need to have complex AND intense AND unpredictable needs. So if a single need in a domain is aligned with any one of the criteria then that starts to put the whole matter beyond the remit of a LA to provide nursing care. I know there is so much more to this. It does however help when one looks at the LA and their role in this first. After all the Coughlan case that spawned the National Framework was taken up against a LA and not the NHS. I cannot believe I am in this situation again. I had to fight for CHC for my mother 9 years ago, my sister 5 years ago and am now in the process of wading my way through the process again for my lovely father. I won ( if it can be seen as a victory) for both my sister and my mum. All I can say is believe in yourself and the reasons behind why you are doing this, keep notes, don’t give up, don’t be afraid, don’t believe that the professional knows more than you about the process…they don’t in most cases. Look after yourself and don’t let it take over your life. The system is deliberately designed to be unwieldy and time consuming. It sometimes feels like that is all that I do……. But I have every sympathy with you, having been at this over and again for the same two relatives since 2009. That’s good advice, Miriam. Thanks for your comment. I imagine you know the process and all the guidelines inside out by now, given what you’ve had to go through. You’re right that in many instances (and certainly according to many reports we receive from families) if you read the guidelines and familiarise yourself with the process, you’ll often know more than the actual assessors. I agree whole heartedly with this statement there is a universal misunderstanding of the rules and not just amongst nursing home staff.In my experience it appears obvious that even the CHC teams themselves do not understand the rules, and GPs appear to be unaware of the rules and fast track process. My mother was close to death and when the GP come to the nursing home she told us that my mother really should be in hospital and that she was very poorly and unlikely to survive yet there was no mention of CHC. Just a month prior to this my mother had been assessed for CHC and the MDT found her eligible yet even though she was deteriorating it was turned down by the decision makers. I’m still awaiting the outcome of the appeal. I have hit so many brick walls along the road that it is unbelievable no wonder people give up the fight. Keep going Christine. Bloody mindedness and logical argument will win out. We got the bill for my mum’s nursing home on the day of her funeral June 2013 and have been fighting the cost ever since. They threatened legal action if it was not paid almost a year ago and have not acted upon it.Due to so little assistance with this, we had no choice but to appoint a solicitor who is now fighting for a CHC appeal.Without the solicitor guess we would have been fobbed off. We were told ” your mum had to be almost dead ” to qualify , what a thing to say , absolutely heartless. Hi Jenette, Sorry it has been so tough. There is an almost universal misunderstanding of the rules by even nursing home staff (even if they know any), I was told the same thing in an e-mail by my father-in-law’s nursing home manager, a registered nurse to boot. That “CHC is only for patients with serious medical needs or that they are in the last stages of life”. No surprise then that she kept her mouth shut and barely supported us and likely supported the MDT at the private session of the CHC assessment. Firstly. A patient is expected to have the Nature of all of their needs, (not just medical needs), cross referenced and applied against the criteria of complexity, and/or unpredicatbility, and/or intensity and the need for continuity of care. There is also a requirement to establish if the total care needs are beyond the LEGAL remit of a LA to provide. Separately is the Doctor-led fast track process for patients that are expected to die. In addition to your CHC appeal, I would hope that your solicitor has contacted the council with his or a qualified medical person’s opinion from a reading of the DST. All the best, keep going. There is another aspect to this apparent disinclination of nursing home staff and managers getting involved. Quite simply, there is an ever increasing use of nursing home beds as “halfway houses” for the recovery of hospital patients that quite often should still be in a hospital. It is highly likely that such beds are much sought after by some homes as they likely earn an enhanced rate and can obviously fill empty beds with cognizant perhaps less troublesome patients at the home, for the short periods that they might be empty and so not making the home any cash. What an awful thing to be told, Jenette. That is indeed heartless. I’m glad you have a solicitor helping you. I must admit the local NHS Trust has been quite quick in adhering to the CHC Guidelines and dealt with the checklist and DST promptly. However, all the internal administrative issues can be a problem but the big issue is the restrictive practices in keeping patient data away from the relatives. You go into meetings without knowing what you are dealing with and it is intended to be that way. I was lucky, the Community Matron left all my fathers NHS notes in his flat. I refused to return them and subsequently used those notes (comprehensive assessment report) in the DST meeting. My fathers needs were quite complex in multiple overlapping domains but having every bit of data in my possession to argue and amend the DST went a long way in securing CHC funding for a BUPA care home. My name is MUD in the CHC team beacuse I kept them FOUR hours in the DST meeting and by 5.15pm they were all clock watching to get the damn thing over with! No overtime payment I guess. They also made one slip asking me about was I intending to claim prior to his hospitalisation and nursing care in his home environment I never knew I could but it opened the door to retrosoective claim which I have put forward. All I can comment further is that you ideally should get POA for health so you can prod and poke to get information from the NHS, such as community matron visits, reports, hospitalisations, social/psychiatric care reports etc. Leave no stone unturned, be persistent because the whole process is secret squirrel tactics to keep the relatives out of the loop. Hi, As usual everyone is having the same troubles as have been ongoing for years. In reply to Chris above: The NHS cannot refuse medical records including CHC records if a family member asks for the info and that it is sent to the person who is the subject of it….. i.e. to the patient. Medical records may be held at many places and require payment of about £50.00 maximum. The CHC records should be entirely free because being able to hold them in your hands is Framework requirement. In addition to that, The National Framework requires a comprehensive description of the reasons for a refusal and a copy of the Decision Support Tool as a minimum, after a CHC assessment. So if, they, like our CCG demands that the patient asks for the DST then they are deluding themselves and are actually breaking the National Framework. At a recent Independent Review Panel (June 2015 IRP), (third success for my mum and I don’t believe that she is any worse than most peoples relatives on this site), it was stated that the CSU (soon to be privatised in 2016), that works for dozens of CCG’s in the region, does not send DSTs because many people are not at home to sign for them…..duh! My mum and father in law’s nursing homes have very nice receptionists that sign for all sorts during the day…… Neither of my relatives goes out unless they are going to hospital. The NHS seeks to win at all costs, careers are likely made based upon the latest nonsense in the vein of cost savings….. nothing else matters and in that they will lie lie lie. There appears not to be any sanction for such lies and deliberate mismanagement within the National Framework. One needs the lengthy distraction of maladministration law or even to go for civil fraud charges if facts and law are recklessly misstated. If you search around the Information Commissioner’s Office (ICO) website you will doubtless find their interpretation of the law and case law too regarding third party applications for data. It states quite clearly that a person close to the data subject can request the data to be sent to the data subject. There is nothing in that interpretation that allows them to refuse on the grounds that the patient has no cognition. After all, when a loved one dies (the ultimate in lack of cognition), bills and correspondence still arrives and someone (not always an executor), is expected (POA or not) to deal with the matter. One can deal with a loved one’s troubles, “In their best interests”. It usually involves discussing matters with a medical or legal professional so that a consensus to solve an issue can be agreed. It takes lots of repeating. For example my father-in-law collapsed in hospital a few days ago…. immediate NHS reaction…. He has no legs….. he has a brain injury……. he is 76 years old…… he’s in here with gall bladder troubles….. He does not have a “DNR” So will you consent to allow us to let him die please? Or implications close to that. He is in intensive care again because once again no one actually listened to us when we stated that he was not this humorous chap….. that he did in fact think that he was in the pub and he really was waving a ten pound note about in the hope that the nurse would get him a pint, “and one for yourself”. He even told us where the doctors kept the pool table and that he was playing against one earlier. Not bad for a man with no legs! The reason, he is infected and three days of intravenous antibiotics has never solved the problems. Last time he was on a prophylactic tablet dose for months….. But what do relatives know? This has happened on every admission to hospital in 8 years. He’s is here today,because we argue “in his best interest” for his wishes to be resuscitated to be met when hospital staff are all for pulling up the bed sheet over his head. (P.S he does not have dementia but it appears so when he is on morphine, or infected). On a good day he can do the crossword in his paper without writing down the answers (arthritic hands), …. that’s more than I would want to try. If your relative has a state pension one can apply to the DWP for “Authority to Act” in pension and benefits matters. Don’t forget that in many cases it is mainly their state pension that will be targeted by the local authority (L.A.) if CHC funding is stopped or refused. You would have a right to refuse to act until such time as the L.A try to take (without a POA, not you) your loved one to court for the money. It is also the case that if funds have built up, it might be better to spend some of them in their best interests by engaging a specialist lawyer. Better the lawyer get it perhaps, than the L.A. Just a thought. The L.A tried the final court threats four months ago. Their “special Projects Team” wrote a lovely letter quoting Court Procedure Rules and my need to adhere to them whilst failing to give the correct address and telephone number for a reply. Then at the L.A, having layered barriers of under powered underlings that were not permitted to give me an address or phone number for the person at special projects either. The time that I took would have cost my father-in-law around £90.00 if a lawyer had made the calls. I asked them to take the matter to court. That I would require the NHS to attend because they could equally owe the funding. That the entire CHC matter would need to be heard in open court before a real judge and that perhaps more inhibiting case law might be generated to thir disadvantage….. The limited remit of an IRP to alter the CCG’s recommendation has always been an issue with me even when very obvious forgery and fraud has occurred. To date I have not heard from the LA’s special project’s team….. I believe that for a while at least, they are hammering at others with less obvious will to hammer back. Wishing you all the best and luck. That’s good advice, Chris – and well done for sticking to your guns. Good point about power of attorney, too. The care notes are vital – and so often they’re inadequate and inaccurate. I would advice anyone to check the care notes (daily care note and care plans plus any other reports or information that supports a case for funding) well in advance of any assessment, so that you have time to ask the care provider to update them if they don’t reflect your relative’s needs. I had similar problems with the CCG in respect of my mother. When I went through the complaints procedure all the way to the Ombudsman, the CCG won the battle at every stage. My complaint was not upheld. However, complaints about procedure are one thing and even if a complaint is upheld it does not mean you qualify for CHC – you still have to go all the way to NHS England as a separate issue. My wife and I were exhausted by the effort we put in (sorry, Sue but I wish I could get my Mum’s paperwork in 2 files!) and as a last resort we contacted a ‘specialist’ solicitor for help. My feeling was that although the CCG assured us that our views were taken into account, it seemed like we were trying to impose on a ‘members only’ club. We didn’t have any muscle!. The solicitor informed me that they pass these cases to a ‘specialist’ nurse who has been doing this work for years. It felt good to be able to compete on a level playing field – she knew her stuff and commanded a lot of respect from the NHS reps on a clinical level. We could never have gotten that kind of professional respect. OK maybe we would have won this time but we couldn’t afford to go in anyway but fully armed… and it worked … and it worked at the next review also. We’ve got respite until April 2016. That’s good news, Peter. Thanks for your comment. I just had a Continuing Healthcare assessment for my mother who has dementia is bedridden and rapidly losing weight. She has been in Hospital since 15th July. After a two hour meeting the Assessor turned us down as she said mums meducal needs were not severe enough and her dementia could get better!! I have never met anyone yet who gets better with dementia. The Assessor would not listen to the ward nurse who knows mum better than her. There were no notes available so I asked if this would prejudice our case and was told it would not. It clearly did as we were refused anyway. It sounds as though there have been several mistakes made in your mother’s assessment process. Rosemary, not least that there are no notes available. There should have been comprehensive notes taken at the assessment meeting (recorded on the Decision Support Tool) if it was a multidisciplinary team assessment and you should have had a copy of those. My mother has been in care since early Feb. 2010. She was living with my sister, who social services made her nominated carer. That sounds fine, except that said sister has Downs syndrome and could not cope. Mum went into residential care and at one point was sectioned. A social worker who was involved refused to discuss anything with me as I am not the next of kin, being the younger sister. Mum had a checklist completed without my knowledge, which indicated that there should not be a full assessment and she moved to another home. While there she did have an assessment for CHC, but she was turned down. After a hospital stay she was due to move to a new care home and the day before the move we had an assessment at the hospital and I feel sure that it was due to the support of the ward manager that we got the outcome that we wanted. He told it like it was and of course had no vested interest. Care homes do not receive the equivalent funding from the NHS as from the privately funded residents and so there is nothing for them to gain by encouraging high scoring. An example of this was the care manager who said that my mother was not incontinent, just had occasional accidents – not true, she was urine incontinent and I had seen that she had soiled the bed linen several times. Now, my sister is showing all the same signs and symptoms as her mother of dementia. I raised this with her GP in the first week of February and she made a referral. A CPN visited on 24 March, took notes and said that my sister would receive a visit. As this still has not occurred, I contacted the learning disability team again and was told she would not be seen until next year. The care manager for my sister had never made contact with my sister and promised to do so. Now, nearly seven months later, she still has not done so. As we are going away for a few weeks, my sister is now in a care home and I, unbeknown to the social services care manager, have put her name down as the contact. Between sorting my mother for the last five and a half years and also my sister, how long will it be before I need more support. Maybe I should get my name down now. If you are self funding nobody wants to know. You have my sympathy Linda….my sister and I are at the beginning of that long road with our Mum…..I would like to ask where you found out that NHS Funding was not on a par with Self Funding? This would maybe explain why our Care Home Manageress has been so denigrating, to the point of rudeness in filling out the forms to get assessors to come to the care home and see Mum….we insisted she signed the forms and included our opinions of Mum’s condition which I’d typed out on a separate sheet ….Mum had been given mostly Cs and a couple of Bs, whilst in our opinion she had at least 3 As, and example of which was one of our As was for Cognition (Care Home Manageress had given C) and this for a lady who knows nothing and nobody – hardly speaks and makes no sense when she does speak and is suffering from rapidly worsening Vascular Dementia…anyway just received the letter saying Mum not suitable for NHS Continuous Health Care, so they are not even sending their assessors!! What a difficult situation, Linda. You mentioned that you’re not considered next of kin because you’re the younger sister. I’m not sure that’s correct – although I’m not an expert on this as a specific thing. Do you have power of attorney? If not, you may want to consider applying for a deputyship order. You’re right that there often seems to be a conflict of interest when it comes to care providers and Continuing Healthcare. As you say, people who are self-funding pay the most. My mother has Alzheimer’s and has been in care since 2008. I moved her into a care home nearer to me in July 2010 and since then have been trying to secure CHC funding for her. The case has been riddled with problems from day one. I have been pushed from pillar to post by the authorities, and like Brian no one would take responsibility for her. I have fought to get assessments and DST’s completed. All the way along the line I am told that she only has social care needs, despite having severely impaired cognition, being doubly incontinent, virtually immobile and all the other related problems. She no longer knows who her family are and only really knows the care home staff because they wear uniform. I have been ignored for long periods of time by the CCG, despite writing numerous letters trying to either get updates or to arrange assessments for mum. I kicked and stamped and refused to deal with anyone at the CCG but the Chair person. I have one word to say about him – ARROGANT!. About 18 months ago I got so fed up I contacted my local MP. She has worked wonders for me in terms of getting the CCG to respond to my letters! Every time I wrote a letter I copied her into it, I have never had such quick responses from the CCG in all the years I have been dealing with them. At least they now reply to me but don’t tend to answer my questions, instead they try and fob me off. Twice I have referred the case to the Ombudsman and twice they have told me that there is no issues with how the case has been handled. I disagree strongly. On one occasion they referred me to NHS England so I wrote to them. That was over a year ago and they have never replied. I have 2 A4 lever arch files full of paperwork dealing with this case. I have had one DST “thrown out” because the panel say that the information in it was not good enough and they needed more in depth information. Even the social worker said that there was nothing more we could give them. I think that more likely the truth is my mother would have got funding on that DST but they don’t want to pay it so just make up reasons to delay it. Another DST that was actually used to make a decision back in 2010 has now apparently only just been “discovered” and they cannot ascertain the source of it. In 2013 I was trying to get another assessment done and after I had firstly been told that the care home would sort it, then her GP, then the district nurse I wrote a stinking letter to the CCG demanding that somebody give me the correct information. At that point I discovered that a full 12 months earlier my mothers case had been “closed” because she didn’t meet the criteria after the DST was done. I was never told about this and it took nearly another year before I could get an assessment organised. It is beyond belief. Two of her DST’s cover a period of time that spans around 2 years, how is that correct and fair? My MP has been so supportive and regularly takes things up on my behalf with the CCG when I cannot get them to answer me. They don’t really answer her either and unfortunately she can only do so much. I will continue to be a pain in their backsides and have in the last week been in touch with the Ombudsman yet again and I have told them that I don’t think that this case has been handled in line with The National Framework. I firmly believe that they have made so many errors and that is why they wont answer me because they would have to admit their failings. I am always researching and trying to find ways to fight the CCG and get my mother the funding she deserves. It is mentally draining but I refuse to give up. Thanks for your comment, Sue. What an appalling experience you’ve been having. I’m so glad you have the MP helping you – and that she seems to be able to make some difference, even if she can only do so much. You’re quite right – the whole thing is way beyond belief at times. Just a bit of an update for my mother’s case. I have lost the battle to secure funding for her. I had a meeting last week with the Retrospective Claims Clinical Lead and it would seem that according to the Department of Health guidelines my mother does not have a primary health need, despite being doubly incontinent, immobile and has severe cognition issues. They say that because she has the network of support in the care home she only has social needs. I argued that if that support was taken away she would not survive but that doesn’t seem to count. I have submitted a complaint to the Ombudsman as for the past 6 years I have been treat appallingly by the PCT/CCG. I have contacted them in the past only to be told that there has been no faults in the way the case was dealt with. This time I have told them that timescales have not been adhered to nor has The National Framework and I have submitted a lot of relevant paperwork. I spoke at length with the Ombudsman on Wednesday and they have agreed to investigate my case. I am over the moon. It won’t, I don’t think change the decisions already made but when they asked me what I wanted as an outcome I told them that procedures need to change so that the process is fair and families understand what is happening. As I said before if my MP had not been fighting my corner I don’t know if I would have been able to carry on. Hello Sue, I am very sorry to read that you have not secured funding for you Mum following your mammoth battle. I am truly puzzled, as I am sure you must be, to have been informed that “because she has the network of support in the care home she only has social needs” . This statement appears to be ludicrous, for if it applies to your Mum then it must surely apply to every nursing home patient, for they must all by definition have a “network of support”. Yet not all patients in nursing homes are deemed to have just social needs! This simply does not make any sense, and is yet another example of the this unfair, unjust system. The Clinical Lead clearly has either not read the National Framework guidelines or is deliberately misleading you, Sue. This is a very common ‘mistake’ made by assessors – to say that a person’s needs are less if they are being properly looked after. It should be their underlying needs that are assessed, as if no care were in place. Otherwise the whole thing becomes an assessment of the care providers ability to provide care – which is indeed ludicrous! You’re right to complain, and I’m glad the Ombudsman had agreed to investigate. Sue, Have a look at Jim’s reply well above your update. It might give you an idea of what nonsense you have been told. It might give you another avenue of attack, assuming you have the energy of course. Good luck. I am yet another frustrated & angry person who has been waiting CHC since Mar 2014. My husband suffers from Fronto Temporal dementia , also known as Pick’s Diseaes’ & was initially assessed by the Multi Disciplinary Team in Mar 2014. The result was quite definitely he was, at that time, more than eligible for CHC. He moved to an EMI Care Home in A pr 2014 & as he was living in another location to his home with me, the Local Health Board requested another assessment which took place in July 2014, the result being the same as previously. I have received help &support from my MP, & as I live in Wales, Assembly Member & the Commissioner for Older People. I eventually heard from the Chief Executive of the Health Board that my husband’s case had been refused CHC. I began an appeal earlier this year & still I wait. In the meantime our hard earned savings are dwindling away on care home fees. I intend to take this case to the highest level, not only for my husband’s case but for every other person out there who is up against this muddled, complex & extremely unfair system. Not only do carers have to cope with their loved one suffering this cruel & heartbreaking disease, but we are expected to tolerate the joke of a system in an attempt to gain well deserved access to Continuing Health Care. Val, make sure that you are not contributing to his care needs from your own savings or from your half of any joint accounts. All the useful information on your website gave me the courage to go on fighting and after 10 months, which is a short time compared with a lot of people, l have just received an email advising me that l have won the case for my mother to receive full funding from the NHS! https://m.youtube.com/watch?v=HrpFLLwGqhs Thank you again, and l will now be helping anyone who needs it in my mother’s home. Good luck to everyone else. Keep fighting your corner, do not let them beat you down! Thanks for your comment, Jill, and your kind words. I’m so glad you’ve been able to secure CHC funding. That’s good news. Thanks for the YouTube link, too. Yes, Luke Clements’ videos are very helpful. Wishing you well. Thanks to John for his informative reply. Our family are currently appealing refusal of CHC Funding for our mother who is in late stage dementia and has a number of other issues: heart problems, oedema, hypertension, risk of aspiration, refuses to take medication so it has been withdrawn, double incontinence, unable to do anything for herself, is unable to communicate. I think this is the normal scenario for ill people to be refused NHS Funding. I have an outstanding retrospective appeal in for the whole period from 2008 until 2011 which was the last time our mother was assessed until May this year and although receipt of the retrospective appeal was acknowledged in September 2012, there has been no further update. Our mother scored one severe, two high, 5 moderate and two low and one no needs which was behaviour in her assessment in May this year, Although she often refuses to eat and won’t take her medication this wasn’t considered to be a behaviour problem because, in the words of the assessor, she wouldn’t behave like that if she had her wits about her! At the assessment both the social worker and the assessor both agreed that our mother had primary health needs. But that she didn’t qualify for CHC. They definitely said those words as we wrote them down as soon as they said them. I said to them, your telling me that our mother has primary health needs and she doesn’t qualify for CHC. The assessor said yes, but as a nurse, I can’t see the complexity. I then queried the fact that our mother had scored significantly across nearly all of the domains. The social worker became exasperated and said “yes, but those needs are being met.” She later denied using the words “primary health needs” and the Local Authority have backed her, stating that she would not have used those words because our mother wasn’t awarded CHC. We have no witnesses, so we can’t really argue therefore it’s a good idea to record the assessment. I wrote to our MP and she forwarded a letter to the Local Authority for us, but apart from that she does not seem to be interested. I have managed to get some support from an NHS Complaints Advocate and am busy putting together a complaint/appeal with her help (which I should be doing right now). The worst thing about this “dumbing down” of illnesses is that if the assessment isn’t done properly, the care plan won’t accurately reflect all of the needs of the individual. This means that they could very well be put at risk of neglect. Thanks for your comment, Elspeth. The comments from the assessor are unbelievable – and yet all too believable, sadly. They show ignorance at best and contempt at worst, in my view. I wish you well with your complaint/appeal. Let us know how you get on. I completely agree with you that incorrect assessments and the playing down of needs not only jeopardises funding but also puts people at risk of neglect. Sadly this is pretty much exactly what I have experienced. My mum sadly died in March and I have been fighting the CHC system since 2012… I was originally told in June 2014 my mum may only have “months” as she was in the final stages of dementia and it appeared her heart may be failing. I was told in October 2014 my mother did not qualify for CHC at DST, “8 months” after the Checklist (which I objected to… For a variety of reasons). This DST also concluded it would be “detrimental” to my mothers health to move her to the “nursing” wing of the Carehome, which I found completely incredulous!!! I reached the end of my tether and had asked for her to be Fast Tracked in January via a solicitor when it seems only I could see she was dying as I was told only two weeks before she died she was not “actively” dying – and indeed was told less than 24 hrs before she died that she was “doing well” (despite being on a morphine pump!). She continued to “fully” pay for her care to the day she died… I have complained to the Carehome, Clinical Commissioning Group (CCG), Local Social services, MP, and Care Quality Commission (CQC) and had no responses “at all” and been deafened by the silence, or each body just passing the buck. In summary, my experience is that it is “impossible” to get any answers from “any” of these people and am strongly of the opinion that my mothers condition was deliberately played down whenever I questioned it. I had a CHC Checklist partly completed by the NHS for my mother in Nov 13. The is breached the Delayed Discharges Rules and the The National Health Service Commissioning Board and Clinical Commissioning Groups (Responsibilities and Standing Rules) Regulations 2012, which say that the Checklist must be completed, the person or carer notified and that it be recorded in the patients notes. See section 21 of the Act. The wording is clear. The word ‘must’ is used. I am arguing that my mother who has severe dementia, double incontinence, hypertension, epilepsy and odeama, has not been properly discharged and is therefore the responsibility of the NHS. As I was unaware that the Continuing Healthcare (CHC) process had been started and not completed, I insisted another be done, and this indicated a requirement for a DST/MDT – multidisciplinary team assessment. I refused to have a financial assessment and the local County Council is currently paying her fees as I am refusing to do so. The Social Worker lied about the CHC Checklist and claimed I put her under pressure to score highly. E-mail correspondence under a Data Subject Access Request (DSA) revealed e-mails between her and the CHC Coordinator – who was also the only other member of the MDT – in breach of the Framework requirement that the Coordinator be independent of the the decision making process. The Social Worker claimed the information on the Checklist had been completed under duress and that she believed my mother to be ineligible for CHC. The MDT is supposed to be open minded. The nurse and the Social worker had clearly already pre-judged the issue. My mother is on Gallantamine, which her consultant warned would pose a risk of epilepsy, which she had a long history of. These two people ruled my mother ineligible yet admitted they were unqualified to judge! They also said that no decision could be made on the day, yet signed the Outcome page of the DST and dated it on the day of the MDT stating she was ineligible and that the family agreed for it to go to ‘out of panel’. This was a false document. We had of course agreed nothing as we didn’t know for three weeks what the decision was. The local County Council withheld e-mails between the nurse and social worker, subsequently obtained under a DSA request from the NHS which showed the nurses thought,s which became the recommendation were not written until the following day. Yet days later, the nurse was still pretending she wanted medical records from me. All hand written contemporaneous records of the MDT were shredded by the NHS and the local County Council, so it is impossible to see how they could reach their conclusion – but they did not account for the fact that I recorded the whole MDT meeting, which of course is an accurate minute. The subsequent panel refused eligibility and we had an Independent Review Panel (IRP) a month ago. Unbelievably, the Chairman refused to accept the recording as evidence, despite this being permitted in legal proceedings. The Council has made an investigation under The Local Authority Social Services and National Health Service Complaints (England) Regulations 2009. The nurse has selective amnesia, but the Council failed to play the recording to remind her. The County Council claims my mother owes £36,076.25 for care home fees. I have instructed them to stop harassing my mother by sending invoices, for which they have no lawful authority. This resulted in a threat of legal action within 7 days if I refused to pay. “Point 2 If you think you have the legal authority to pursue my mother for money before the process is completed, l am willing to consider what you have to say and take the appropriate legal advice. Under previous legislation we had an obligation to charge for permanent residential care by virtue of s.22 of the National Assistance Act 1948 i.e. we had to charge, it was not discretionary. Under the Care Act 2014, we have an entitlement to charge by virtue of ss14- 17”. They are wrong in law in my view as both these acts refer in these clauses to SOCIAL CARE not medical health needs. Invoices are being forwarded to the CEO of NHS England. The council have not issued proceedings as yet and I said that if they do, I will join the NHS in the action. I now have made another statutory complaint against the CEO of the local County Council for harassment, which she has so far refused to register. To add insult injury I discovered that the NHS rations care home residents to a maximum of 3 incontinence pads a day. This is the subject of another statutory complaint. My advice to Brian is to get unpleasant. Don’t believe anything you are told.Don’t trust anyone. Keep meticulous paperwork records, record all meetings – they’ll hate that, and use the Statutory complaints procedure – the 2009 rules above. They have to reply within three days and there is a set procedure which must be followed. Go through every breach of law and the Framework and document it. Thanks for your comment, John – and for your advice to others. You’re quite right that it’s vital to keep notes of everything. This article may help too: http://caretobedifferent.co.uk/how-keeping-a-journal-helps-in-a-care-funding-application-and-appeal/ You’re also quite right to refuse to pay care fees until the CHC process is complete – as it’s not yet clear who is responsible for funding. It sounds as though there as been some appalling maladministration in your mother’s case. Well done for standing your ground so far and in trying to get hold of records and correspondence. Not easy. Frank. It is wrong that the MDT recommended funding and that The Panel altered that recommendation without explaining any “Exceptional Circumstances”. Retrospective funding could be argued upon that point alone. The fact of the failure to follow procedure should be grounds enough. I have won more than one Independent Review of past and current assessments on just that ground. I hope that you find some way to keep at them and win….. If it can be called winning. Sounds very frustrating, Frank. This may help: http://caretobedifferent.co.uk/retrospective-claim-for-care-fees-rejected/ The CCG should only overturn MDT recommendations in exceptional circumstances, so you are right to question this. The National Framework is absolutely relevant for this – so the person who told you otherwise either doesn’t know what they’re talking about or is deliberately acting outside the regulations and the guidelines, which is a serious breach. You may find some of the points in the link here helpful in countering what you have been told. ref the Council’s reply to your challenge to its care charges. Nursing and/or other healthcare services can only be characterised as social care when those services are no more than incidental or ancillary to the provision of accommodation. But before accepting responsibility for her care and raising any charges for social care, the Council is required under S22(1) Care Act 2014 to be satisfied that the nursing etc.,services are “merely incidental or ancillary” to its accommodation etc services. Has it done so? As understood, your position is that the nursing services ARE more than incidental or ancillary to the accommodation and that, as a consequence, your mother is eligible for NHSCHC. From what you say, I would agree. Given that the Council has charged your mother for care, it should be asked to provide written evidence to show that it has complied with S22(1) and on what basis it considers the nursing etc services to be “merely incidental or ancillary”. It should have as it otherwise wouldn’t be in a position to raise charges. Someone, somewhere in the Council must have sanctioned the charge. The next step to consider is does the Council really understand what is meant by “incidental” and “ancillary ” services. I’m not convinced that, on the whole, councils (and the NHS for that matter) do. But this is the crux of the matter. If your mother was “discharged” from hospital with long-term healthcare care needs which require the provision to her of nursing and/or other healthcare services AND which could only be provided to her in accommodation other than her own home then it is clear that her aim was to receive nursing etc services rather than accommodation. It is important to note that the (care home) accommodation is required in order to facilitate the provision of nursing services – this is why S3(1)(b) NHS Act 2006 exists (see below). The provision of nursing etc services constitutes an aim in itself and is NOT a means of better enjoying the accommodation. If it was the Council would be right. On this test, the nursing etc services CANNOT be characterised as an ancillary service to the provision of accommodation and she is eligible for NHSCHC by virtue of regulation 21(7)(a) of SI 2012/2996. On a primary law approach, your mother is eligible for nursing services under S3(1)(c) AND accommodation (which includes social care) under S3(1)(b) NHS Act 2006. In short, NHSCHC.